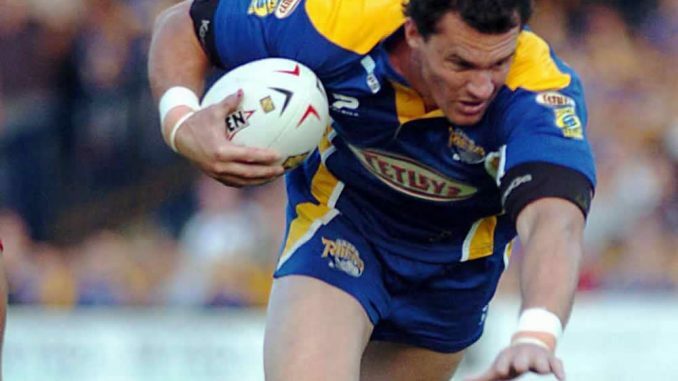 Former Leeds back-rower Matt Adamson has been named interim head coach of the Fiji national team. Adamson, 45, made 62 appearances for the Rhinos between 2002 and 2004 and also played for Parramatta, Penrith and Canberra in the NRL. Fiji are due to play Papua New Guinea during the international weekend on June 23. Leading players, including captain Kevin Naiqama, said they will boycott internationals after not receiving payments following their run to the semi-finals at the 2017 World Cup. Fiji NRL chief executive Timoci Naleba has now confirmed in the Fijian press that the AUD$100,000 payment has all been cleared to the players. He added that Adamson will, for now, be heavily involved in the players selection and that they are working towards heavily involving local players in their upcoming games. Fiji famously beat New Zealand 4-2 in the World Cup quarter-finals and have reached the semi-finals in the past three tournaments. Newcastle Knights assistant coach Mick Potter stood down as Fiji head coach following the 54-6 defeat to eventual winners Australia.